These store-bought low carb snacks will keep you away from carby temptation! They also don’t need refrigeration! Whether you’re on a road trip, going to work or visiting someone who just doesn’t understand your way of eating, having a low carb snack with you at all times is a pretty good way to avoid hunger-led cheating. I’ve written on the subject of low-prep snacks before, but the difference with the list here is that these items can be bought from the store (so ZERO preparation) and they are also shelf-stable (or maybe bag-stable!). 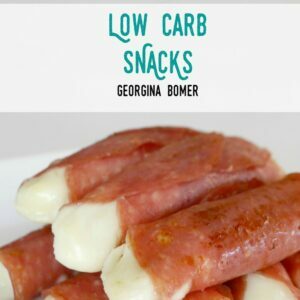 Meat Sticks (Slim Jims, Jack Links etc) – Easy to find in gas stations and supermarkets – these smoked sausages make a great low carb snack on the go! I even found ones the other day with a stick of cheese, too! Pork rinds – Available in ready-to-eat-bags, these crunchy snacks are fairly high in fat but do not contain any carbs! Often stocked at supermarkets and gas stations. Or you could go all fancy with gourmet Pork Clouds – available in flavors like Rosemary and Sea salt, Cinnamon Ceylon and Habanero! Moon Cheese – I have recently discovered this amazing snack! Look out for it in Starbucks or buy an assortment pack from Amazon or read more about them in my 50 Reasons Why It’s Moon Cheese Time article! Olives – I’ve seen these in little cups (Olives to Go!) and also handy sachets (Mario). Both types offer different varieties of olives and all are pitted, with no brine! 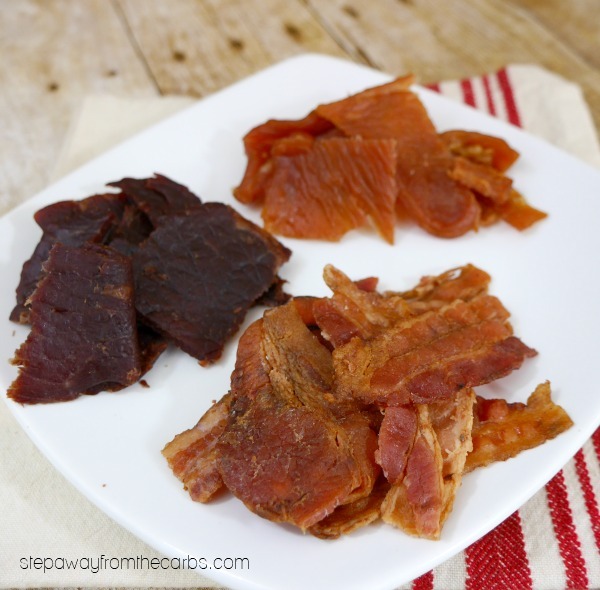 Jerky – This rich and tasty snack is available in several types of meats and flavorings. 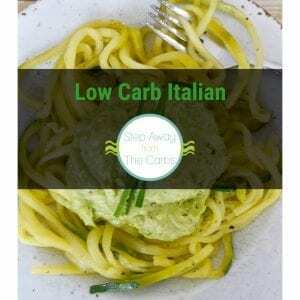 Check the carb content – I’ve seen quite a range! Jerky isn’t the cheapest snack but it sure tastes good! Note – it is recommended that you refrigerate the bags after opening. Nuts – Pecans, walnuts, almonds and macadamias are some of the lowest in carbs (see this table for full details). Depending on the mixture, 100 calorie snack packs of nuts can contain as little as 1-2g net carbs per pack. Atkins – I am a huge fan of the snack bars and candies that Atkins produce. You can buy them from pharmacies and the diet section of grocery stores (usually near the protein powder!). Here are three of my favorites: Chocolate Candies (they really are a good substitute for M&Ms and there is also a peanut version! ), Strawberry Almond Bar and Chocolate Chip Granola Bar. I usually have at least one of these in my purse at all times! 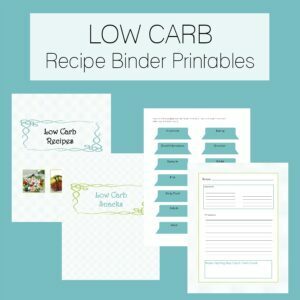 Carbs: Various, check the nutritional data for each item. Seeds – Sunflower seeds and pumpkin seeds (also known as pepitas) are the most readily available. As usual, check the carb count but a very filling serving of ¼ cup is great for a snack – and often can be found in convenience stores too. Carbs: Pumpkin seeds approx. 1g net carbs, Sunflower seeds approx. 3-4g net carbs per ¼ cup serving. Roasted Seaweed Snacks – As well as being readily available in Asian supermarkets – many big grocery stores stock them too! They also come in a variety of flavors! The wasabi style from Annie Chun’s is one of my favorites! Quest Nutrition Protein Bars – These are available in some amazing flavors! Sold at The Vitamin Shoppe, diet sections of some supermarkets, and I’ve even seen them in Bed, Bath & Beyond! They are REALLY filling and I love getting a big variety pack and picking out my favorites! Kale Chips – Not the cheapest option when it comes to low carb snacks – but they are fast becoming popular and available in a lot of flavors from different brands in supermarkets, often in the gluten-free aisle. Or of course you can buy them (like everything!) from Amazon! I also a recipe for Homemade Kale Chips with Parmesan. Carbs: Always check nutritional data before buying as there is quite a range here. Average is about 7g net carbs per serving. Freeze Dried Fruit – I haven’t mentioned many sweet snacks in this collection – and unsweetened freeze dried fruit is definitely trickier to find in stores. 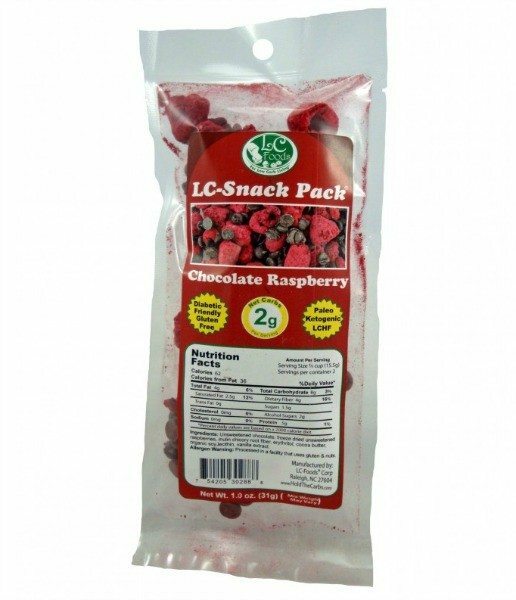 Luckily there are fabulous online stores like LC Foods that sell handy snack packs like this amazing Chocolate Chip Raspberry Snack Pack! Carbs: Various. Snack pack mentioned above contains 4g net carbs. You might like to check out my review of four brands of zero carb Parmesan Crisps! 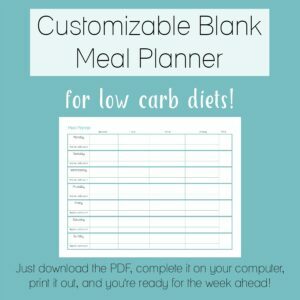 Did I include your favorite low carb store-bought snack? Do you have anything to add to this list? Let me know in the comments! 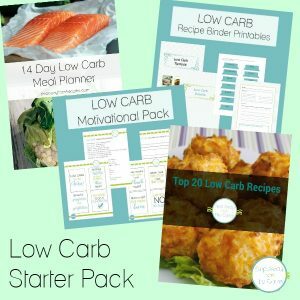 If you’d like to find new snack RECIPES, please go to my Low Carb Snacks page for a full list of recipes on this site! Caveat Emptor, those Atkins snacks tend to make one gassy. Go easy on those! Moon cheese can sometimes be found at Starbucks stores. Most people who follow a low carb diet don’t also count calories. As for sugar alcohols, each low carb diet is different as to whether they are allowed or not (or sometimes down to the individual), so I thought I’d include all options so that people can choose which snacks suit them. Thanks for the suggestions! What do you think about sugar-free pudding? I find that to be a satisfying dessert. Do you mean Sugar Free Jello? If you can buy them ready-made in cups that definitely works. But I’ve never seen sugar free Jello puddings ready-to-eat! Be careful of the Jello Sugar Free pudding mixes – “Sugar Free” and “No sugar added” don’t always mean “no carbs” or “low in carbs”. I like the Kraft String Cheese as well as (most) Colby Jack options in a block. Both are 0 carbs, as well as many other cheeses. Also, what is Moon Cheese? Moon Cheese is a super crispy zero carb snack! You can find it on Amazon or in Starbucks!